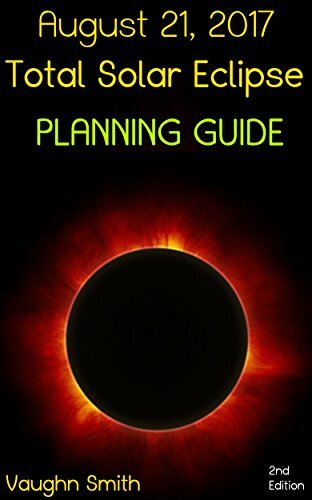 On August 21, 2017, a total solar eclipse will be visible in the United States. This is the first such event to be see anywhere in the USA since 1991 in Hawaii. The last to be seen in continental states was in 1979. The drought is over in 2017 at last. The 2017 eclipse tracks across the country from Oregon to South Carolina. The shadow of the moon will blot out the sun for many cities and states. Some, like Nashville, Tennessee, are completely within the shadow zone. Others, like St. Louis, Missouri, are treated to less observing opportunities. St. Louis, Missouri, is barely a participant. On August 21, the shadow of the moon cuts across the city. The location of the observer in St. Louis determines how much of the event they see, if at all. The south west portion of the city is rewarded while the rest is not. Observers will want to be at a favorable spot well in time for the start at 1:18 or so, Central Daylight Time. During a total solar eclipse, the shadow of the moon falls upon the surface of the Earth. This completely blots the sun from the sky for a brief period until the moon moves in its orbit. Because the moon is very small, and quite distant from the Earth, the shadow is very narrow. The zone of totality is only about 72 miles wide on August 21, 2017. In order to experience the full wonder of the eclipse, an observer needs to be within this zone. Someone located just outside will not participate. Instead, they will see a partial event which is much less spectacular. In St. Louis, totality is experienced by those in the right place. Creve Coeur Park marks the Nortwest extent. All areas south of the island within Creve Coeur Lake are rewarded. Continuing to the center of the city, locations south of the St. Louis Zoo are in the zone of totality. A small area in Forest Park bounded by Tamm Drive, Wells Drive and South Skinker Boulevard will also see the sun blotted out for a few seconds. Further to the east in the city, at the Missouri River, locations south of the Anheuser-Busch brewery are included as well. The famous St. Louis Gateway Arch is not in the total eclipse zone. Instead, a very high percentage of the sun will be blotted out for observers here, but it will not be total. Conditions may be very dark at the time but a very thin wedge of the sun will remain visible for the whole event. This may be quite interesting but it will present problems. Because some of the sun's disc is still visible, damage can result for anyone who looks at the sun with their naked eyes. The danger is increased because of the high degree of sun coverage. People will notice that the sun is extremely dim. They may believe that they can look at the sun safely, but they will be wrong. If any of the sun remains uncovered, such as it will be at the Gateway Arch, the damaging rays of the sun will stream past the moon. As well, if this light strikes a person's eyes, the optic nerve can be harmed and no pain will be experienced. People must know not to look at the sun without proper protection if any portion of the disc is visible. Busch Stadium, and the rest of the city core, are also outside the zone of totality. Across the river in Illinois, only those areas south of the St. Louis Downtown Airport will be in the zone. Everywhere else, such as Frank Holten Park, will be in partial eclipse only. 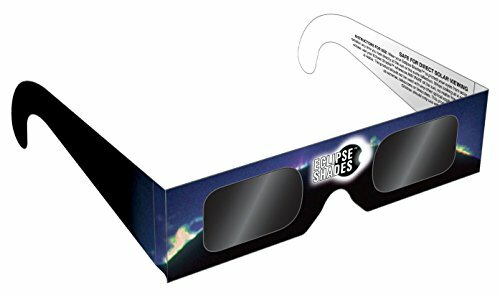 Many parks and area attractions will be in the eclipse zone. The Missouri Botanical Garden is barely within, as is Tower Grove Park. Jefferson Barracks and Historic Park are within. Farther to the west, past Chesterfield, the Weldon Spring Conservation Area will experience nearly two minutes of totality. Castlewood State Park also experiences a similar duration of totality. Please ensure that everyone is properly prepared with eye protection. For the maximum eclipse experience, however, the nearby cities of St. Claire and De Soto may be excellent choices. These cities are in the center of the eclipse shadow path. As such, they get the maximum duration in the area, about two minutes and forty seconds. This is just a little short of the maximum duration possible for the August 21, 2017 event for those located at Hopkinsville, Kentucky. In addition to the location of the observer, the weather must be evaluated. Clear sky conditions are necessary to see the eclipse. While the August 21, 2017 date does indicate a better than average chance for good weather, local storms, and even clouds, may be possible. The main event starts at around 1:18, local time. This may be problematic if an afternoon thunderstorm starts to build. Local residents should watch the cloud conditions and be prepared to move to a favorable location if possible. Area roads may be heavily congested, however. Anyone deciding to move to a new vantage point should do so fairly early to minimize the chance of being stuck in traffic. 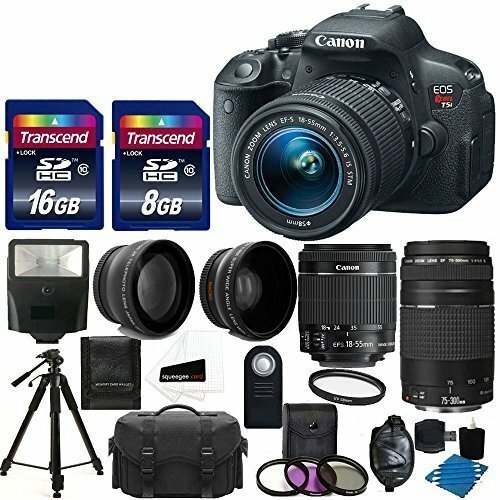 Basically all of the gear that you need to take amazing digital photographs. People who miss the August 21, 2017 event may have to wait a fairly long time for another chance. The next in the United States in April 8, 2024. That one, however, will miss St. Louis, passing well to the east. After that, the next nearest will be in 2045, south of the city. Obviously the 2017 event is the best opportunity for people in St. Louis to experience the wonder of a total solar eclipse. The shadow of the moon will come to the city. People will be able to see the effects in their own area. There has not been a similar occurrence in the United States for many years. The opportunity for Missouri will not be repeated for a very long time.